Background and aim: According European transport policy, information literacy plays a crucial role to promote sustainable transport. The purpose of this article is to outline the European transport policy impact on logistics organization. To analyze this impact, we will focus on freight transport in this chapter. Methods: European regulatory bills analyses since 1991 will be used as the basis of the evaluation of the transport policies limits. Results: We conclude that current European transport policies have several limitations. First of all, non-technological innovation is less fostered. Secondly, transportation policies still over-emphasize industrial activities. Innovation analysis for service activities is not very common yet. Finally, shippers’ needs are neglected. Conclusion: Technological impact fostering sustainability is over-estimated. By the way, transport policies should identify much more shippers’ needs. These needs are differentiated. 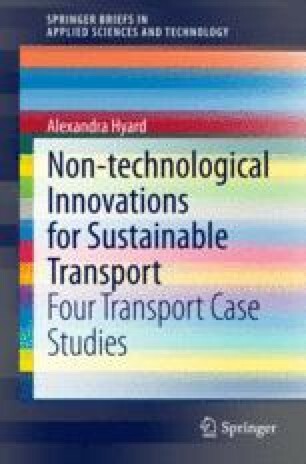 They involve much more than technological solutions in order to foster sustainable transportation.